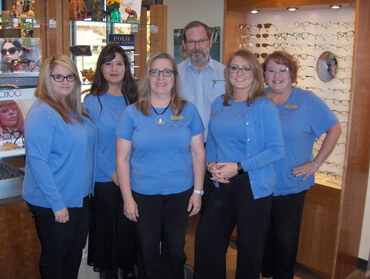 Doerksen Eye Clinic is an optometric family practice founded in 1994 in West Wichita. Dr. Doerksen has been practicing optometry since 1989. Our office prides itself in excellent medical care, superb customer service and a large inventory of eyeglass frames and contact lenses to suit your specific lifestyle and need. 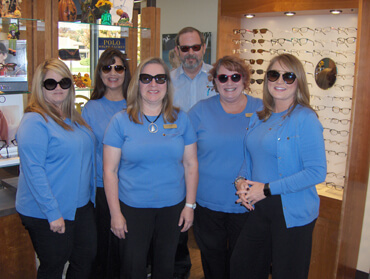 Our staff has a combined experience of over 90 years in the optometric profession. Our opticians are certified to properly fit your glasses and select products to enhance your eyeglass comfort and experience. We have a full service optical finishing lab on site. This allows us to decrease the turnaround time on your new eyeglasses or replacement lenses. We stock a large selection of single vision lenses at all times enabling us to offer a replacement set of single vision lenses in an emergency. We offer 24 hour emergency medical service 7 days a week.